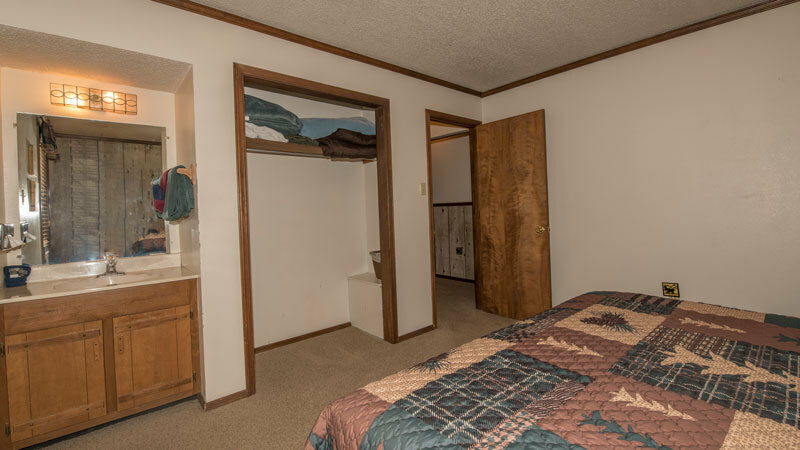 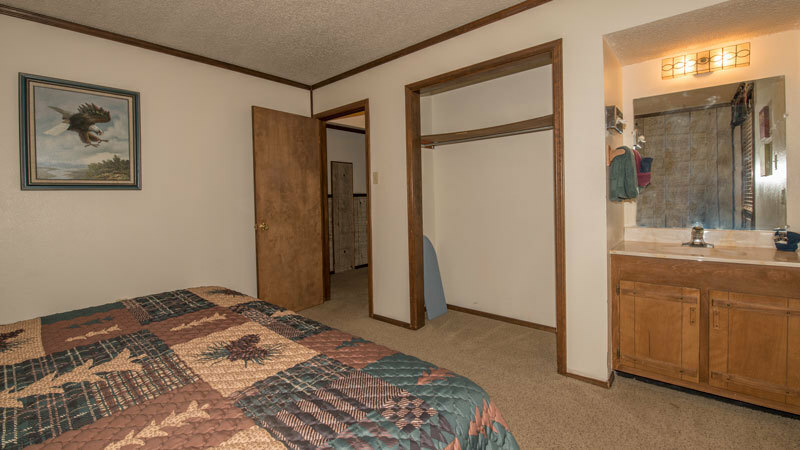 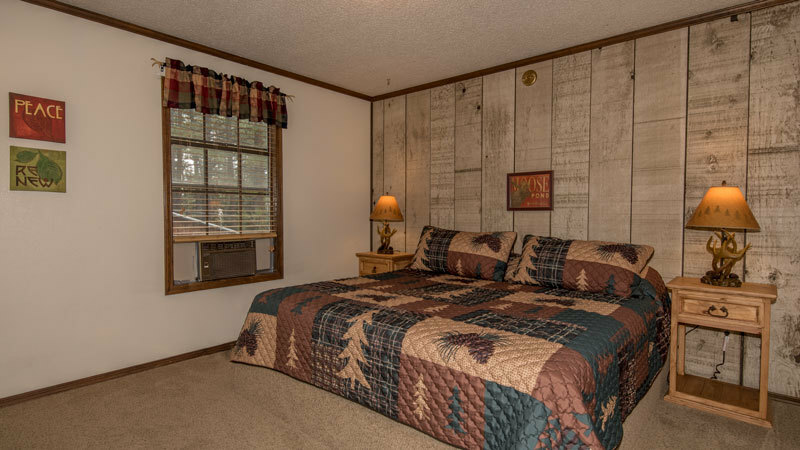 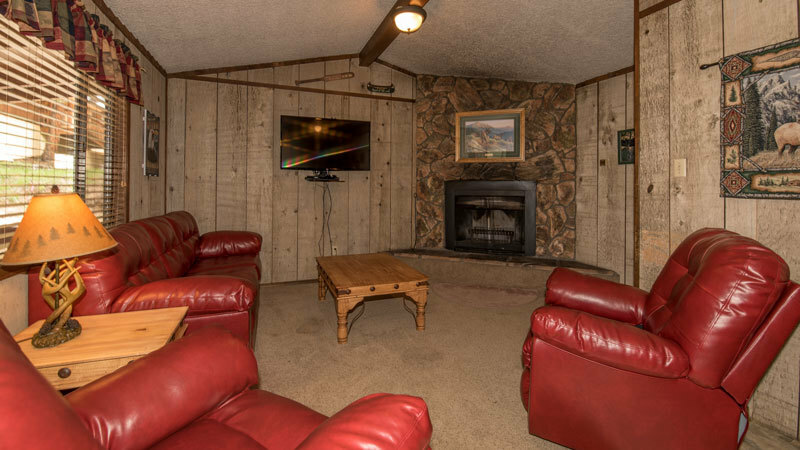 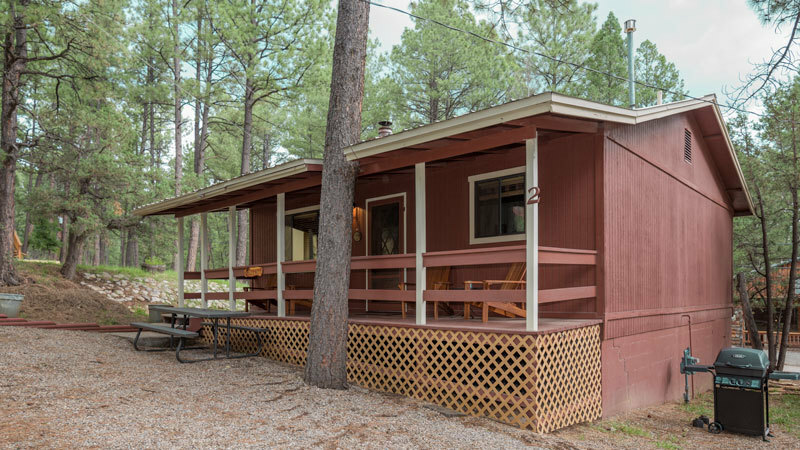 Two Bedroom Cabin -Sleeps 4 - 6 - 2 King Beds - 1 Full Bath with Vanities in each bedroom - Full Kitchen, Microwave - Cable TV/DVD -Wireless Internet - Gas Fireplace - Central Heat & A/C - Deck, BBQ and Picnic Table. 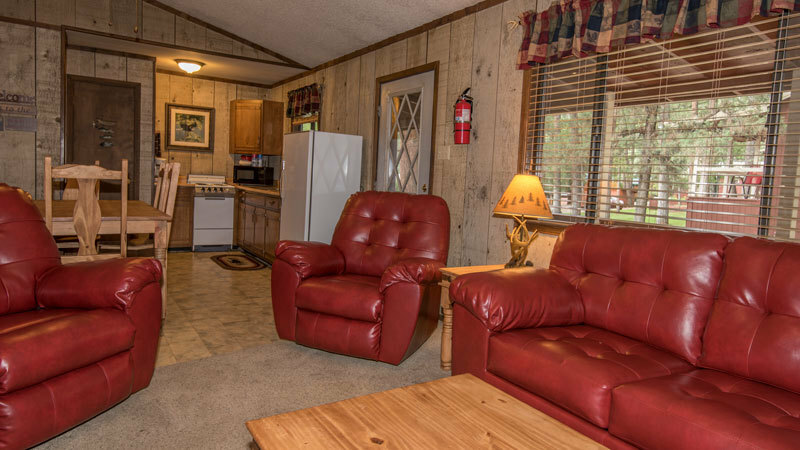 A comfortable and spacious rental cabin. 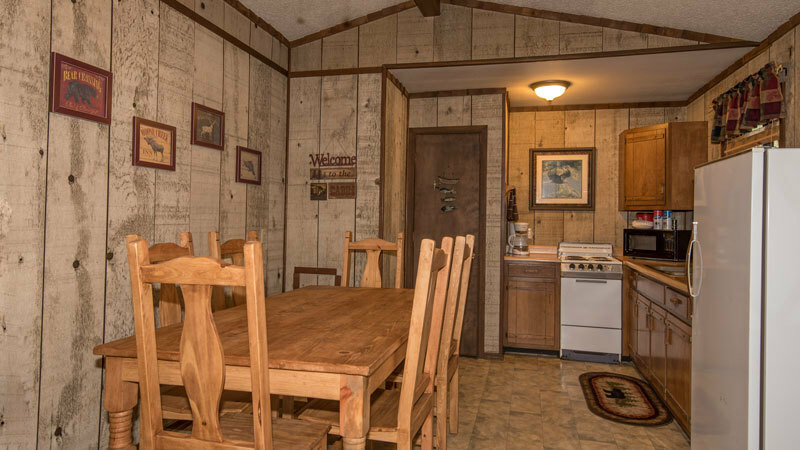 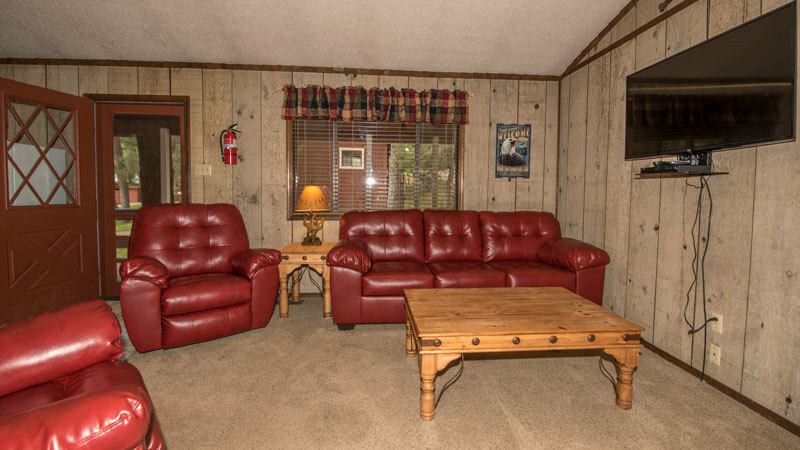 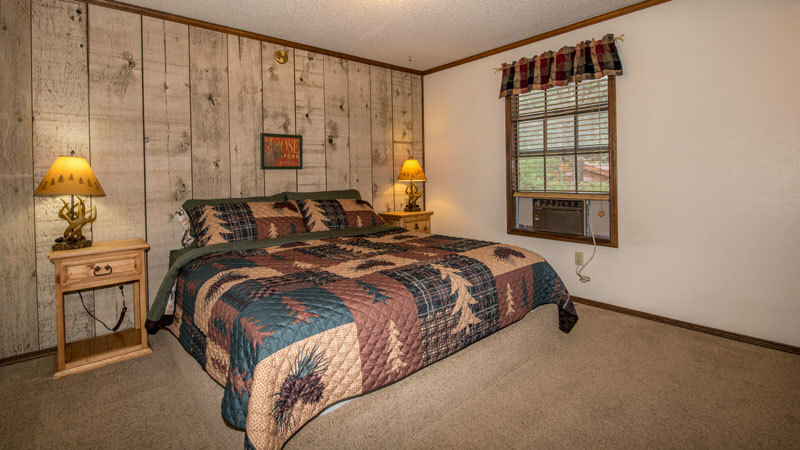 This is one of our most popular cabins. 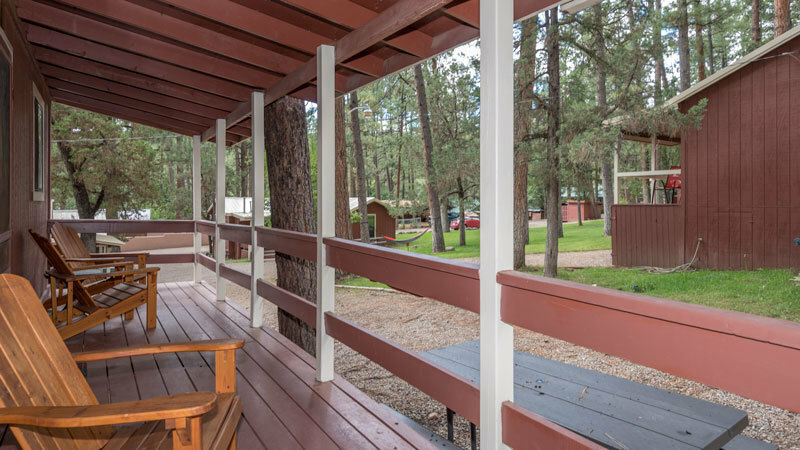 Large front porch overlooking the lawn.